Viz Glass brings you art glass in vibrant colors, by skilled craftsmen, and stylish designs. 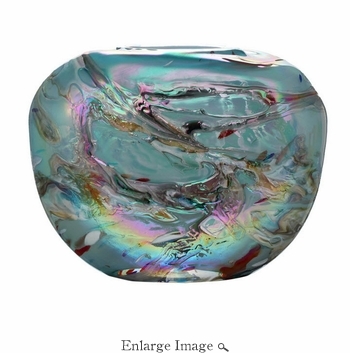 The unique qualities of each hand-blown piece cannot be compared to those of machine-made glass. Viz art glass is made in small batches and the processes are performed by hand, you can be sure each piece is an individual work of art. Art glass when made by hand may show small air bubbles, lines, individual marks left by our artists. These are not flaws, but rather the distinctive nature of the hand-blown process, which characterizes and highlights the distinctiveness of each piece of work. Every piece is a individual work of art. Colors and sizes may vary slightly.